What does the future promise for sushi home deliveries? Is it a bird? Is it a plane? No, it’s your home delivery sushi and it could well be winging its way to your window sooner than you think. Well, yes, there could well be! 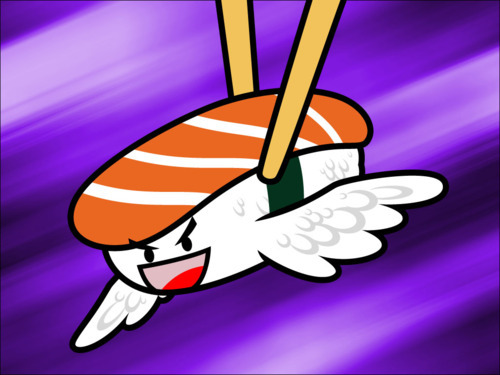 Airborne home delivery sushi could soon become a thing of the present, not of the future, especially if recent developments are anything to go by. Drone technology, once maligned as a weapon of war, is now being trialled by a number of industry-leading businesses as a possible home delivery tool. So where is this technology at now and are we likely to be enjoying flown-in futomaki any time soon? To get a better picture of where drone delivery is at right now, we have to look to Amazon. The online retail giant may be deliver more books and toasters than temaki, but they’re are the forefront of new, commercial drone technology. Having trialled their delivery drones indoors in the US and outside overseas, Amazon formally requested permission from the Federal Aviation Authority (FAA) to trial its drones from Amazon HQ, close to Seattle. In a letter sent on 9th July 2014, Amazon CEO Jeff Bezos’s vision for drone delivery was disclosed and permission sought for the development of “PrimeAir”. According to Amazon’s head of global publicity, the company believe that very soon, home delivery by drones will be “as normal as seeing mail trucks on the road today.”. With 86% of Amazon’s current deliveries estimated as small enough for delivery by drone, the implementation of this service could revolutionise how we buy online. Bezos has put a 5 year estimate on the project and has promised to get drone delivery happening worldwide as soon as he is permitted to do so. Yet not everybody is as enthusiastic about drone delivery as Amazon and their visionary CEO. Despite allotting areas in Alaska, Nevada, New York, Texas, Virginia and North Dakota as sites for commercial drone development, the US is still a long way off making commercial drone delivery a reality. The sites have been allocated in the hopes of gleaning “valuable information about how best to ensure the safe introduction of this advanced technology into our nation’s skies,” but the FAA today does not allow the use of commercial drones. Here in the UK, we’re arguably even further behind. With the CAA (Civil Aviation Authority) and lawyers getting in a resource-starved muddle about how to licence and regulate privately owned and commercial drones, it’s hard to see what the future has in store. Many delivery drone prototypes have been designed with anti-theft devices including hoists that deliver food when the correct recipient is identified. If pulled too aggressively the rope simply detaches, leaving would-be thieves empty handed. With facial recognition technology and video monitoring aboard most commercial drones, it should be possible to prevent anyone running off with your drone delivered hana rolls. Many aviation experts harbour concerns about monitoring drone usage to ensure they do not collide with each other or interfere with air traffic. Many people are very worried that the implementation of drone delivery would seriously impinge on our already transparent levels of privacy. There is little to prevent drones being used to monitor, record and photograph individuals if the operator so chooses. There may be a number of creases to iron out, but most forward-thinking, tech-loving businesses are pretty confident that drone home delivery is going to be happening – and happening soon. Pizza delivery leviathans, Domino’s, introduced the world to the Domicopter in June 2013. Their pizza delivery drone may not be out and about in a commercial setting, but this video of the Domicopter in action makes the possibility of imminent pizza drones seem very, very real. So what does this all mean for your next sushi home delivery? Will your wasabi peas be winging their way to you? Or are you going to have to make do with your usual home delivery sushi guy? Well, for now we’d recommend giving the chap an acceptable tip but, over the next 5 years, who knows? The technology is ready, it just needs a little honing and some decent regulation by the CAA. Meanwhile, one large sushi chain has been trialling the use of “sushicopters” in a restaurant setting. Japan has always had a reputation for wild and wonderful technology and this latest attempt to use drones to deliver sushi (albeit over very short distances) is another step towards injecting traditional Japanese cuisine with a high-tech vibe. Why look to the future when history has all the answers? A medieval catapult had the ability to hurl rocks over long distances. We say load them up with sushi, aim them in our direction – hey presto! Speedy sushi delivery, direct to your door. How would you feel about a sushi home delivery drone? Are you in favour of commercial drone development more generally? Do you have any better futuristic delivery ideas? Let us know!